Everyone knows that with crime on the rise – including white collar crime – security cameras have become a valuable tool in preventing, identifying and prosecuting transgressors. But they’re only as good as their location and there’s much more to positioning cameras than many people realise. The height of the camera, the angle, lighting conditions and of course, the legal requirements are all crucial issues which impact on where and how CCTV is used in a business environment and how successful it is. Before you even start looking at possible locations, you need to evaluate your surveillance requirements. Have you had any problems/break-ins in the past? Where are your priority areas and vulnerable spots? Do you know your legal rights and responsibilities? Do you want to be able to manage your CCTV security system remotely? What type of recording do you want, what image resolution are you after and how long do you need the footage stored for? How much are you prepared to spend? These are just some of the things you need to consider before you make any investment in a security system and the best way to get the most of your business surveillance cameras is to enlist the services of a professional company. They will a) recommend the most appropriate solution from a technical and budget perspective and b) position the cameras in the most effective locations. Remember, cameras should be put where they are likely to capture the best images of the offender/s. You can have the best recording system in the world, but unless the devices are positioned correctly and set-up properly, the information it collects will be compromised. For example, if a camera is too high, it may only capture the top of a person’s head which makes identification difficult. If there’s insufficient lighting, the images may be too dark for quality images or footage. And unless the cameras are expertly positioned, there may be blind spots. Incorrectly positioned cameras can also be obscured by things like furniture, pendant lights, shelving, decorations etc, so you need to be aware of potential obstacles. Another point to note is that criminals know about cameras – so be careful not to put them within easy reach where they could be disabled or even removed completely. Remember, there are also legislative considerations when installing a CCTV system. The laws governing the installation and use of CCTV vary from state to state but businesses will also be covered by the Privacy Act. For example, you will need to notify staff and visitors about the surveillance devices and ensure that these aren’t installed in private areas such as toilets, bathrooms and fitting rooms. Again, a professional security company like Crown Security in Perth will be up-to-date with legislative requirements and can advise you accordingly. 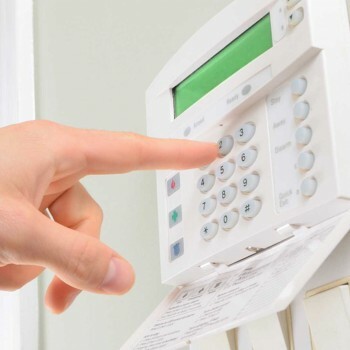 Crown Security is a long-established security and technology company in Perth with decades of experience in home security, commercial security and home automation solutions. They are a one-stop provider of tailored solutions to suit any requirements or budget and to find out more about their range of products and services, please visit www.crownsecurity.com.au. Alternatively, you can get an obligation-free quote for a customised or off-the-shelf security solution by calling their friendly team on 08 9400 6000.